Yes, California CARB is getting harsh on allowing us to pass our classic cars through the smog test. Bottomline, you need to have it pretested with someone you trust and not have your car fail the test and become logged as a gross polluter in the state computer systems. Our members get exclusive access to smog referrals that can still pass your car legally, for less money, without getting targeted by the state. Bear in mind, that CARB shutdown 30% of the smog stations this year 2013, and every smog rep bears the brunt of losing their license if they don't fail enough cars to meet the bogus beaurecractic qouta!!!!!! You need to register at http://forum.chryslerkcar.com and go to the technical section for the smog contacts and email the president at aries89@chryslerkcar.com so he can point you in the right direction. You need a RARE part. They are out there, but you need a part number. CKCC Members get full access to all part catalogs so you can begin your search. We also have a part supplier in Arizona. 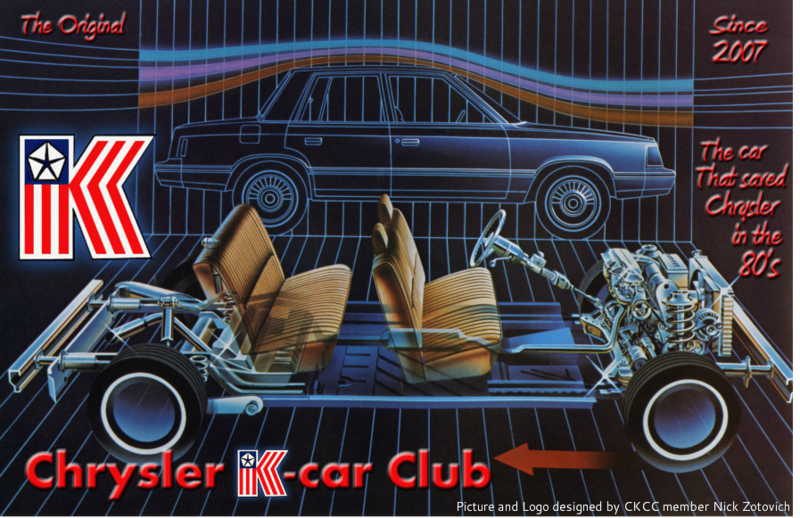 Contact the president and join the club at http://forum.chryslerkcar.com for this vital information.